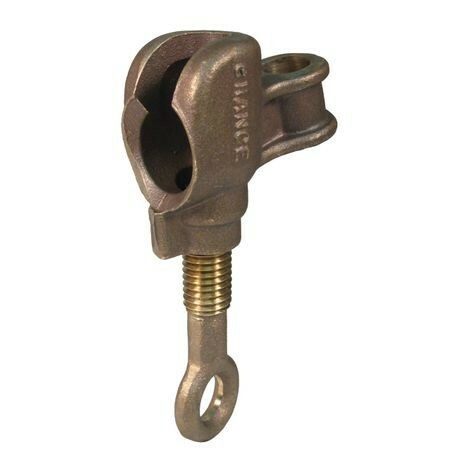 BALL STUD GROUNDING CLAMPS (Terminal Type: Tapped, Ferrule Type: Threaded, Handle Type: Shotgun eye) | Tallman Equipment Co., Inc. Bronze clamps used in restricted-space applications and as part of a truck grounding system. They have a high-current rating of 43,000Ah for 15 cycles and 30,000Ah for 30 cycles.